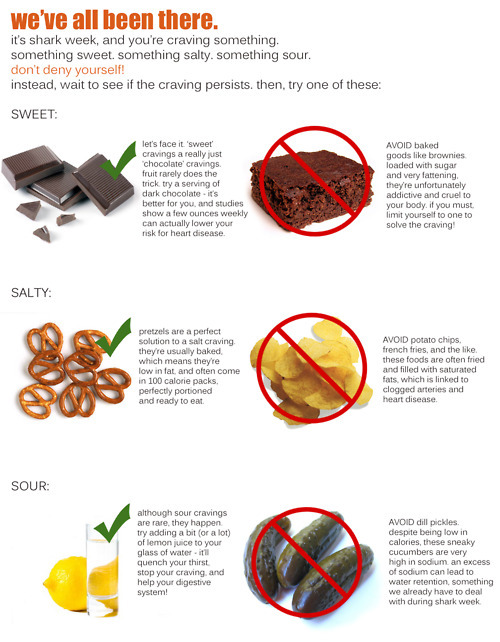 Here are some tips to satisfy your cravings!! When I am craving something sweet, I usually go for my protein shake. Protein powders come in many different flavors and are great for building lean muscle. The protein powder of my liking comes from Optimum Nutrition and I have tried the strawberry banana and chocolate. They are both delicious and satisfy your sweet cravings. What I like to do is mix it in with a banana and unsweetened almond milk. It comes out sweet and tasty. I also like to mix it up with ice, yogurt and fruits to make it more like a smoothie. When I crave something salty, I go for almonds. What you can do is buy a pound of almonds and make little snack bags to take with you. You have to make sure the almonds are not salted. Even unsalted this snack will satisfy my salty cravings. As far as craving something sour, I like to just grab some water and mix it with some lime juice, or this might sounds weird but a cup of tea can satisfy this craving as well. These are just some of the snacks I like to eat to satisfy my cravings. Hopes this helps!